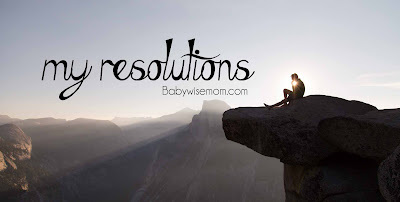 Last year, I shared some goals with you that I had for 2015. I found that very helpful to me because I felt more accountable for meeting those goals. So with my self-interest in mind, I will again share my goals with you for this year. I am really in need of a new desktop (my desktop is over six years old. Really. ), which will mean getting rid of the old one. That means I need to have my photos well organized for the big transfer. There was a time I was on top of this, but when I had a fourth child, this was one thing that went out the door in my life. Time to welcome it back in. I have met my primary weight loss goal. While I am in a healthy range for my height, I would really like another five pounds gone. Okay, let’s be honest. I would love another 10-15. I am trying to be realistic. Five would be fantastic. I will reevaluate when I get there. I really want to declutter in a big way. We have lived here longer than we have lived anywhere, and honestly moving is the best way I know of to declutter. We love our house and neighborhood, though, so we won’t be moving just to accomplish this goal. I feel a need to get things out. I think I will focus on one room each month of the year. That way I can really do each room well and take some baby steps each week to meet my goal. Baby steps always work well for me. They each know how to make some, and they both help often, but I would like for them both to get more under their belts and for Brayden to become more independent in the meals. I would love for him to be able to have a few meals he can make in entirety by himself. As a side note, the other day I taught Kaitlyn how to make scrambled eggs. She always amazes me. She got a paper out and took copious notes on making scrambled eggs. I find the various personalities of people amusing. When Brayden learned, there was no note taking. He just learned and did it. Kaitlyn took notes, read over her notes and asked questions, and left space for adding her own commentary later. There are seasons when we adapt things. For me, one adaptation in life as a mother was changing up my scripture study to be something I could accomplish even with little kids. Now that my kids are getting on the older side so far as children go, I am ready to get back into deeper scripture study sessions. I don’t want to just read them each day, I want to study them more. We have slowly been building up our 72 Hour Kits over the years. I feel like it is time to just finish them off. I am so close. I want this to be a big “check” in my life. This is something I have had in my mind over the years, and I know I have improved in this area, but this year I want to make it an official resolution. I remember having a lesson in church once where the comment was made on how often we think nice things about others but don’t say them. We think the person already knows they are good at that thing. We are embarrassed to compliment people. We might let it slip our minds as we go about our busy lives. But how often do we get a compliment, a simple compliment, and it makes our whole day? It takes so little of ourselves to compliment others and yet it does so much for the one being complimented. Can you talk about what meals you have your two oldest make? That's a great idea!